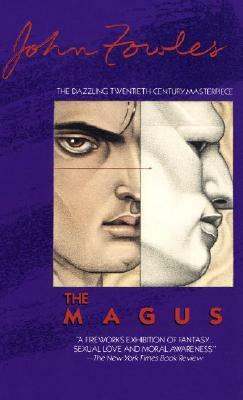 Widely considered John Fowles's masterpiece, The Magus is "a dynamo of suspense and horror...a dizzying, electrifying chase through the labyrinth of the soul....Read it in one sitting if possible-but read it" ( New York Times ). A young Englishman, Nicholas Urfe, accepts a teaching post on a remote Greek island in order to escape an unsatisfactory love affair. There, his friendship with a reclusive millionaire evolves into a mysterious--and deadly--game of violence, seduction, and betrayal. As he is drawn deeper into the trickster's psychological traps, Nicholas finds it increasingly difficult to distinguish past from present, fantasy from reality. He becomes a desperate man fighting for his sanity and his very survival. John Fowles expertly unfolds a spellbinding exploration of the complexities of the human mind. By turns disturbing, thrilling and seductive, The Magus is a masterwork of contemporary literature.